Archaeologists believe that we’ve discovered most of what lies in the Valley of Kings in Egypt, but that doesn’t mean we’ve discovered everything. Even inside the Great Pyramid of Giza, outside of Cairo, researchers have found something interesting. 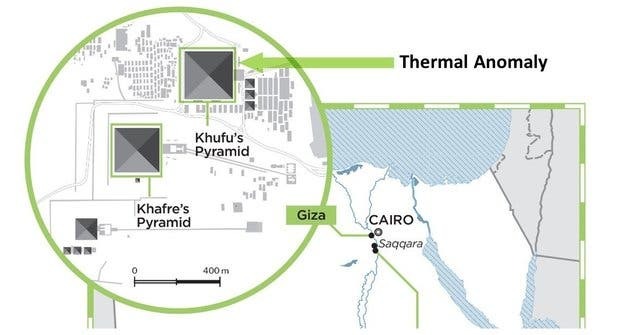 After conducting thermal scans, researchers reported rather strange heat spots across the pyramids, especially a particularly large patch. Rocks (and all materials) hold heat differently to air, so this patch could signify some major cracks, a void, or perhaps even a passage under the pyramid. There are already some assumptions about what it could be, but there is really not enough information to be certain. A void or an entirely different construction material seem like the most plausible options. Realistically speaking, this is more likely to help us better understand how the pyramids were built, rather than finding a secret tunnel. 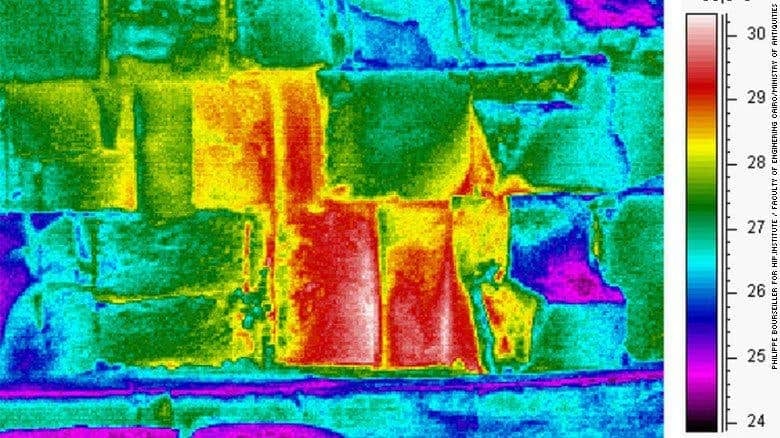 Thermal imaging is actually not a common technique used in archaeological imaging. Ground Penetrating Radar (GPR) and magnetometry are used more often in this context. GPR has already revealed some interesting potential cavities/voids, and it will be interesting to see if these correlate with the thermal scans. This study, called Scan Pyramids will continue until the end of 2016, and thermal scanning is just the first step. They will also use infrared to survey the pyramids, and implement even more exotic techniques, such as using cosmic particles called radiographic muons and 3D reconstruction to try to map the secrets within the pyramids. If there’s something left to be found under the pyramid, they’ll find it… probably.